October is a brand new month. A new month for some brand new thinking. Two things here. Read on please. 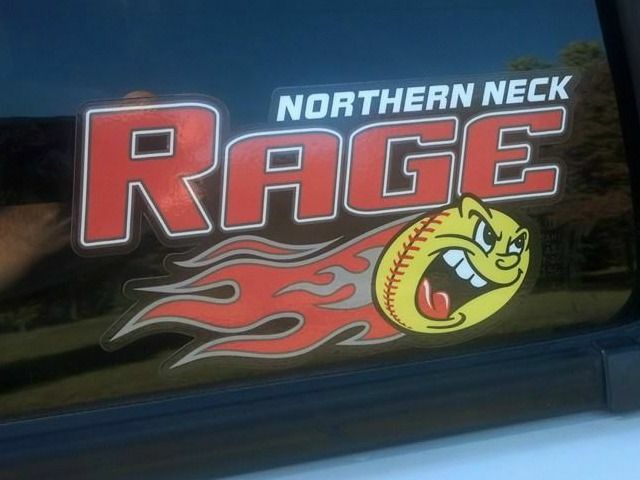 The Northern Neck Rage wants to partner with parents and coaches who want more for their player. We are looking at bringing some major softball names to our "Neck" of the woods if there is enough serious interest in enhancing softball skills and becoming a better softball player. 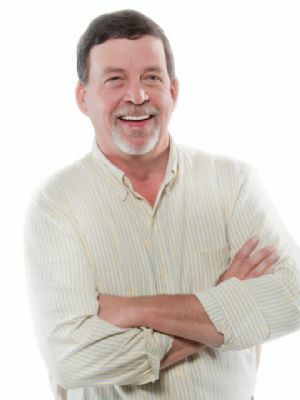 If you want to know when this training is available here, email info@nothernneckrage.com or contact Reggie at 761-8002. If there is a coach or former player, you would like to come to our area, let us know your thoughts. We may even host a clinic on a college campus (have done this in the past) or elsewhere. Need your feedback please. What kind of training do you want? Pitching? Hitting? 2nd thing. "Travel ball" has changed over the last twenty years. It has grown in the number of teams, but has the quality of the game gotten better? In some areas, especially metro areas, travel ball has become a substitute for Little League. Players go straight to travel teams without ever playing LL or other rec ball. We feel players should start with LL. We had a parent of another organization tell us that a recent 12U tournament looked like 8U tournament (if there is such a thing). Fundamentals provide a solid foundation. Our concept in 2001 is the same today ........ find the best players in a 50 miles radius and compete. The 18U team in the summer of 2016 had players from 10 different counties, playing in tournments in Cary, NC; Lynchburg, VA; Baltimore, MD; and of course, Richmond and the Tidewater areas. That is the formula we are interested in having work again. It may not be possible in the near future. It may only be possible with the younger age groups. If it happens, GREAT !!! If not, the Northern Neck Rage will focus on providing training opportunities as we believe that it does indeed make a difference. The Beatles sang we get by with a little help from our friends. 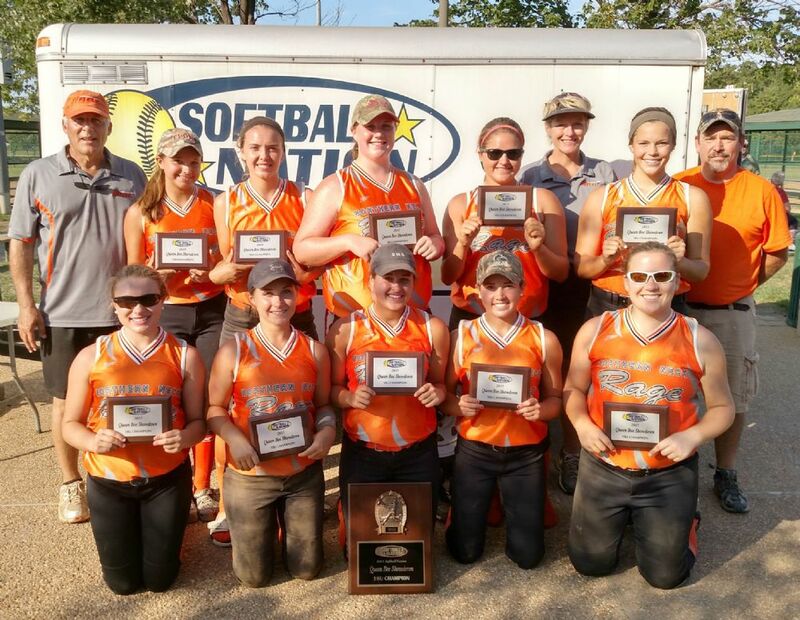 That was the case on September 25, 2016 as the NNR 18U won the Softball Nation Fall Fastpitch Championship in the two day event at the McReynolds Athletic Complex in Yorktown. Have this one and another smaller one, which works on helmet or vehicle. 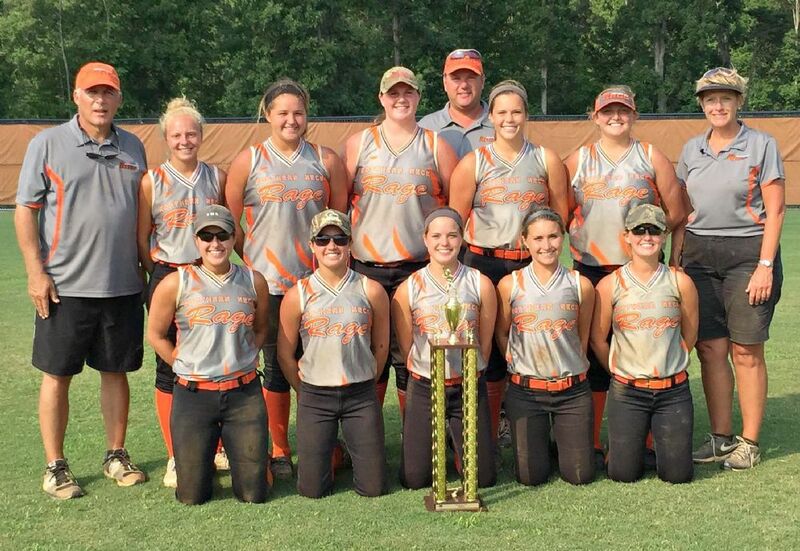 18U won their first tournament of the 2015-2016 year in Newport News on 8/22-23, 2015. The Northern Neck Rage 16U fastpitch team won the NSA 15th Busch Gardens Williamsburg Classic played on August 1-2, 2015. With a record of 5-0-1, the Northern Neck Rage was the only undefeated team in the 18 team tournament. 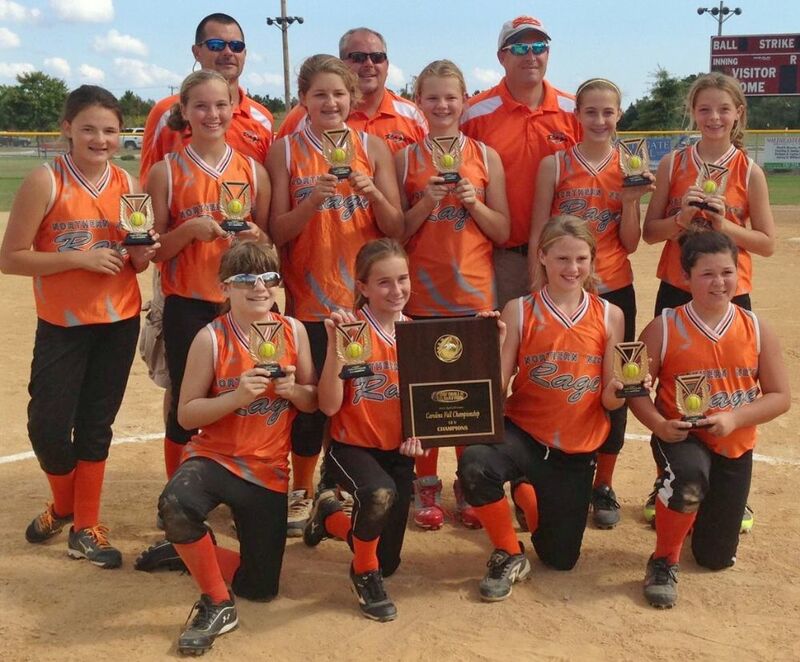 The ladies won back to back NSA tournaments in closing out their 2014-2015 season. 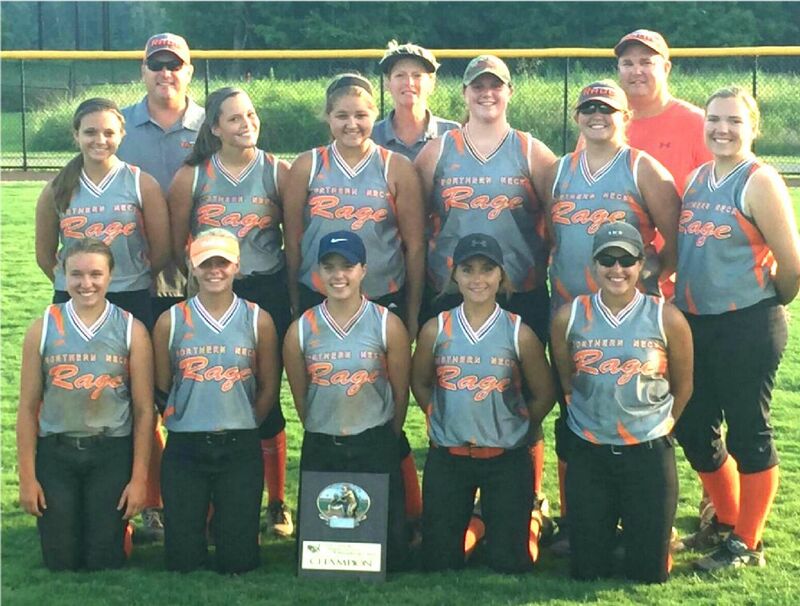 The 16U Northern Neck Rage team made some new memories in capturing the NSA Summer Finale in Powhatan on Sunday, July 27, 2015. With a record of 4-2 in the tournament, the Rage avenged losses on Saturday by beating those two talented and well coached teams on Sunday. A 5-4 semifinal win in a double ITB (international tie breaker) game over the Virginia USSSA Pride was one of the most exciting games the NNR has had. 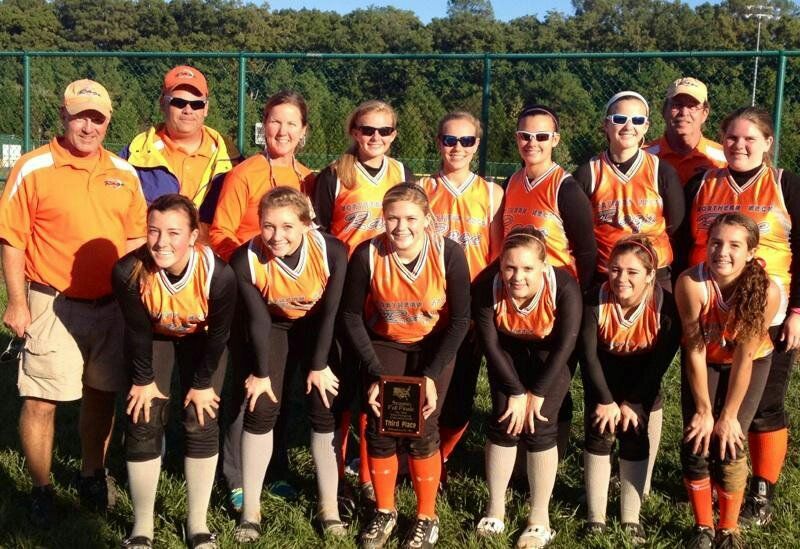 The ladies topped Shockwave Black 10-7 in the championship game. 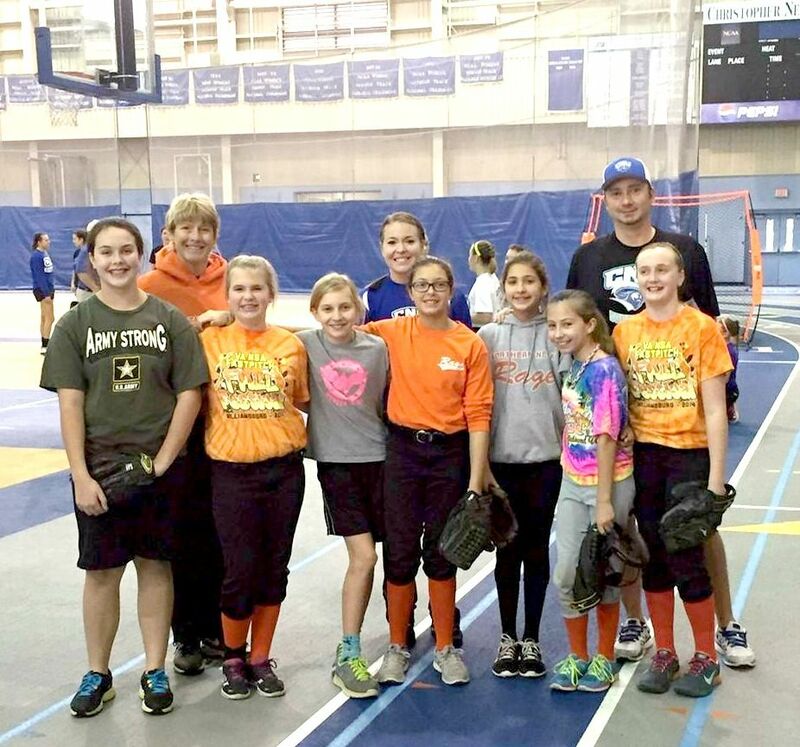 12U NNR working it in January at CNU softball clinic. 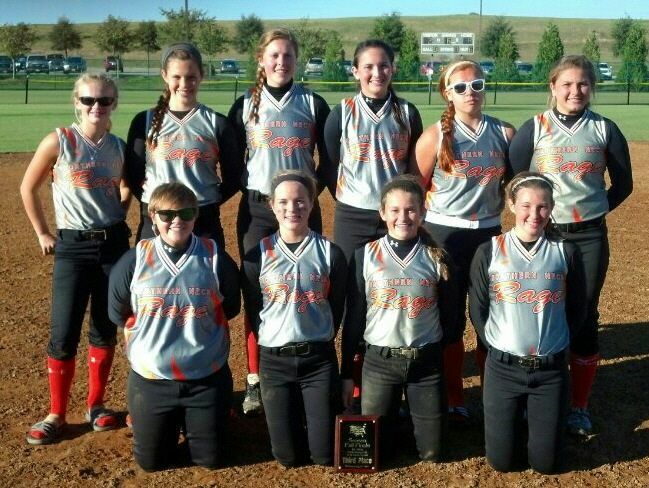 The 14U team had a great Saturday on October 11th, going 3-0, scoring 26 runs and allowing none. The Sunday games were not played due to wet fields. 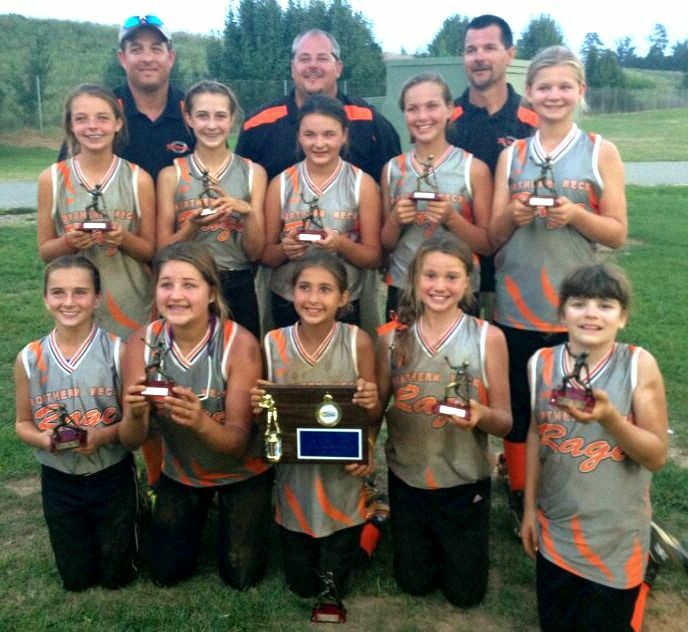 The Northern Neck Rage 10U team finished 3rd in the NSA Williamsburg Fall Festival on September 27-28, 2014. 16U (4-1) also finished third. First outing for our 16U team from 8 counties in VA, going 4-0, winning Silver championship in SN Varsity Blues on Sunday 9/7/2014. These ladies outscored their competition 55-9 in four games. A first for Reggie in his coaching career as 12 were in the batting order for game 3. (won 21-6, but the runs allowed kicked us to the Silver Championship) Game scores in "Results" on 16U team page. 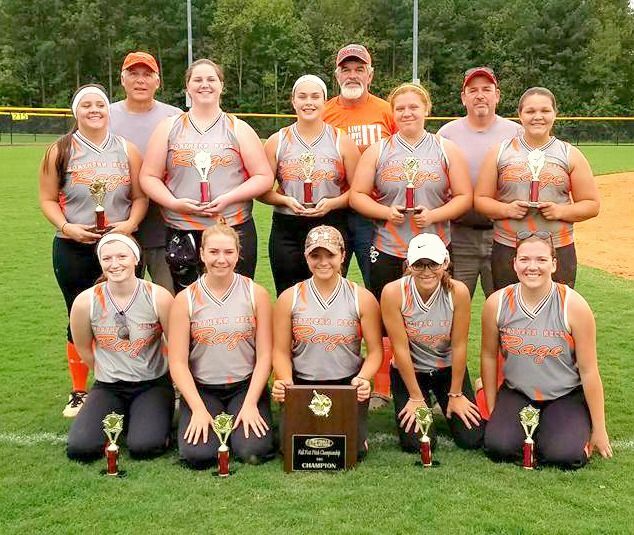 The Northern Neck Rage 14U team won their fourth tournament of the 2013-2014 season, the Softball Nation Nitty Gritty, played on July 12-13, 2014, in Chesterfield, VA. 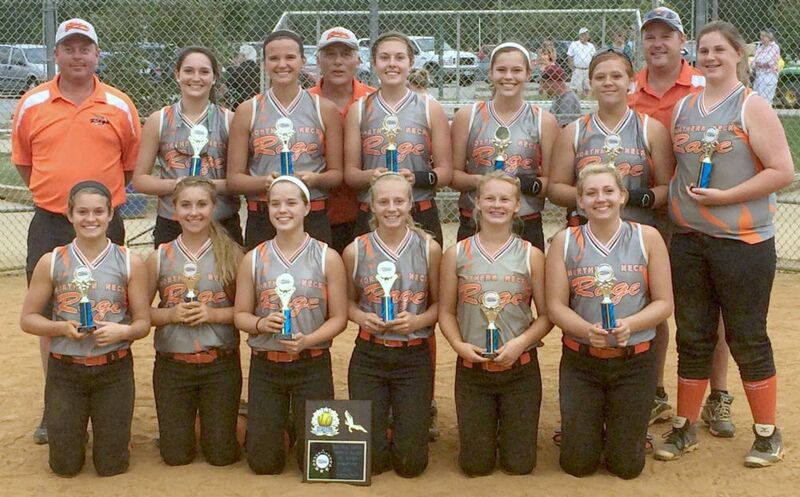 The Northern Neck Rage 16U team finished on top in a tournament in Hopewell on Sunday, June 29, 2014. 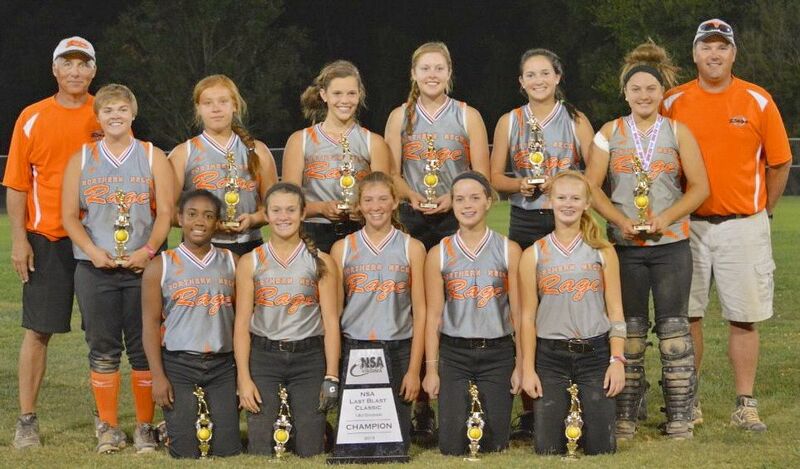 The Northern Neck Rage 14U team went 4-1 in the Softball Nation tournament in Newport News on June 21-22, 2014, losing 3-2 in the gold championship game. 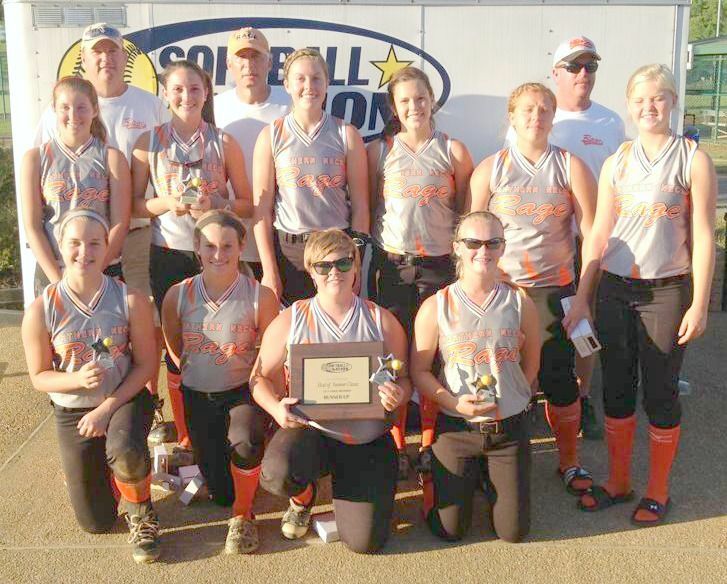 Finishing as Gold division runner-up in the Softball Nation June Jamboree was a welcome event for this young team, who have learned that persistence pays dividends. 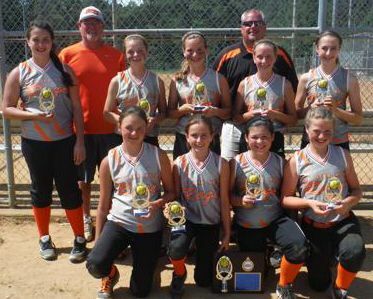 The tournament was held May 31 and June 1 in Chesterfield County. 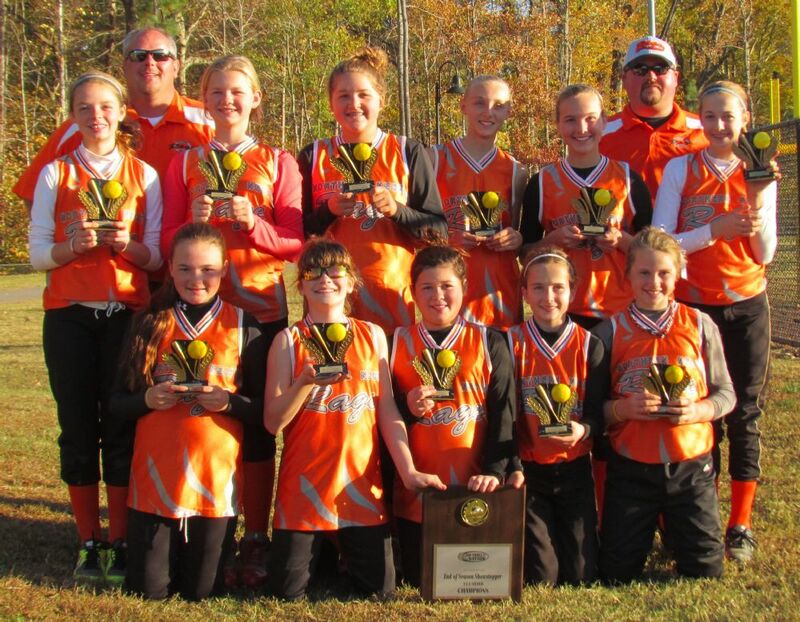 The Northern Neck Rage 12 and under fastpitch team finished first and won the Silver division in the Softball Nation End of Season Showstopper tournament in Yorktown on November 9-10, 2013. The NNR 14U team lost 4-2 to the Virginia Rowdies Elite in the Gold division semi-finals of the NSA Fall Finale. After three first place championships this fall, the ladies finished third in the tournament held in Newport News on October 19-20, 2013. The Northern Neck Rage 16U team took third in the Gold division of the NSA Fall Finale on October 19-20, 2013 in Yorktown and Newport News. 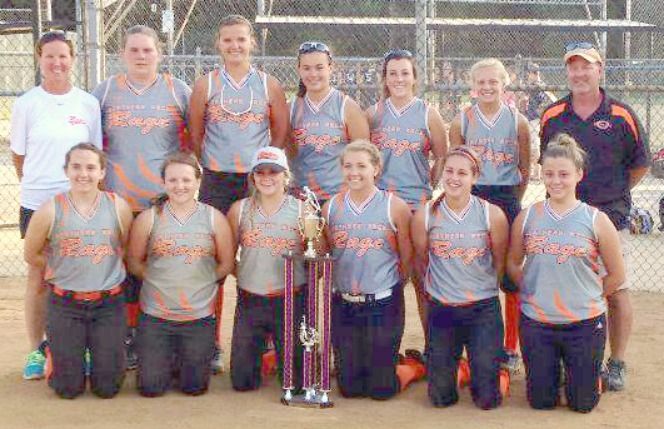 The Northern Neck Rage 14U fastpitch team, playing in their third tournament of the fall, won their third tournament of the season. 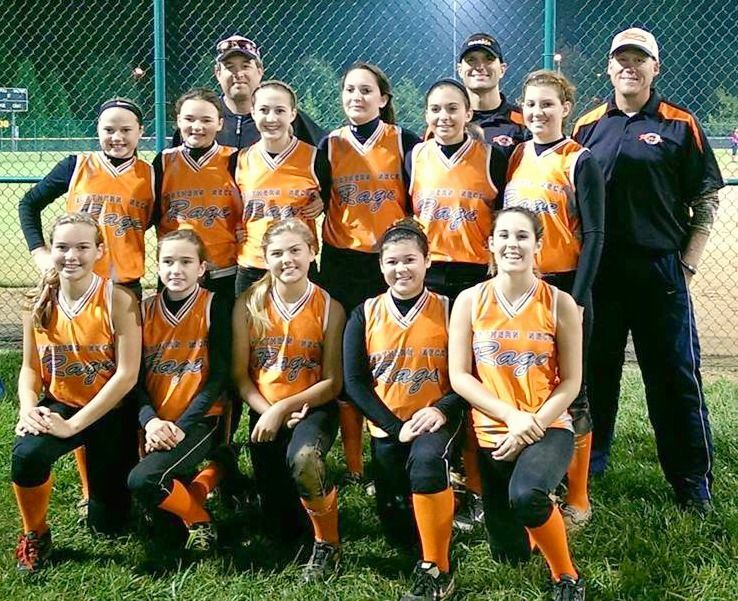 The NSA Richmond Last Blast Classic, a double elimination event, was played at Dorey Park on October 5 & 6. The Rage beat a solid and scrappy Virginia Edge team 5-4 in the final game, elevating their fall 2013 won-lost record to 15-1. 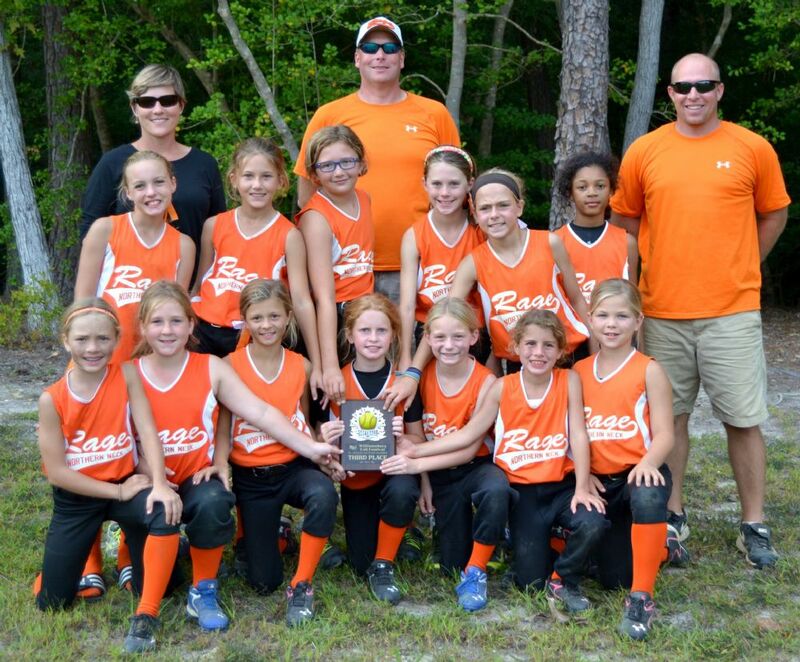 The Northern Neck Rage 12U team went 5-0 in the Carolina Fall Classic tournament in Elizabeth City, NC on October 5-6, 2013, winning the Softball Nation fastpitch softball event. Entering the championship game, the ladies had outscored their competition 53-7. NNR won the final game 11-9 over the home town team, High Voltage. 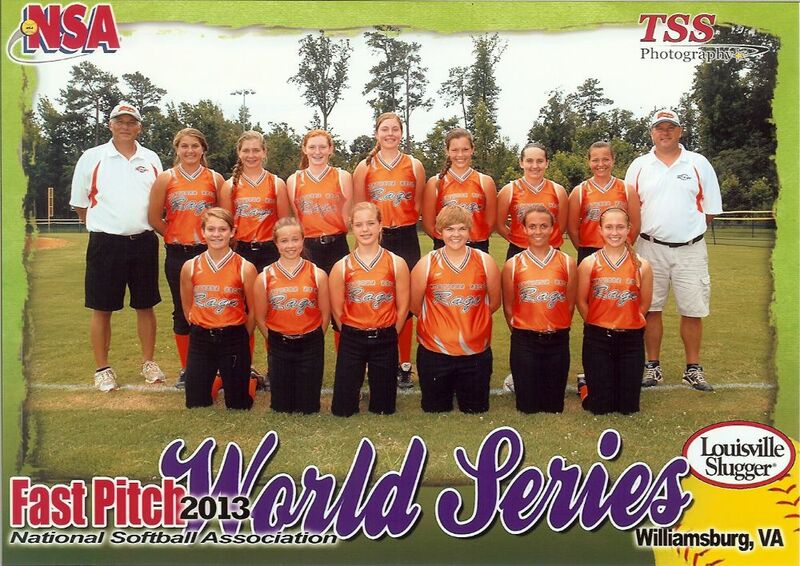 The 2013 - 2014 edition of the 12U team of the Northern Neck Rage played their first tournament of the new travel ball year on Sunday, September 8, 2013 in Softball Nation's Varsity Blues. The ladies went 2-1-1 in the event to grab 2nd place in the Silver Division. 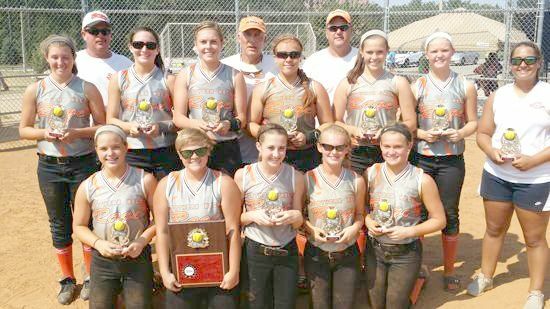 The Northern Neck Rage 14U fastpitch softball team finished 5th (of 40 teams) at the NSA World Series held in Williamsburg July 22-27. A 5-0 record over the first four days of the event put the Rage as one of four unbeaten teams entering day five. Two losses on Friday to teams from Louisville, KY and Ohio ended the 2012-2103 season with an outstanding 35-17-2 record. P.S. A nice plaque for 5th place came in the mail 8/5. NSA had failed to award it at the tournament. Thomas Suthard has "It". We knew it ! Congrats on the honor !